The Le Mans 24-hours endurance race is quite possibly the best known racing event on the planet, and so it stands to reason that as a working journalist and photographer, one will move mountains to obtain media accreditation to this race. To gain access to the media centre for this event is not as easy as you may think, but the privilege of working there and meeting with drivers, team personnel and other journos is worth the effort. 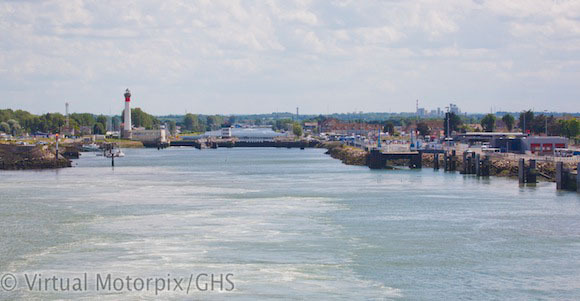 Getting to Le Mans from West Wales, however, is a marathon in itself, the two most popular channel crossings with Brittany Ferries’ being Dover-Calais or Portsmouth-Caen. Once across the English Channel, the former option leaves one with a road journey from Calais to Le Mans of 423km (about 4-5 hours) or the latter being Caen-Le Mans of 165km (about 1.5-2 hours). Having done the Wales-Dover-Calais-Le Mans route for several years in a row, it was decided to try out the Wales-Portsmouth-Caen-Le Mans option. Of course the Portsmouth-Caen route requires a longer sea journey of 6-7 hours as opposed to a crossing of a little more than one hour for the Dover-Calais crossing. Our journey started on 11 June when we left Wales in fair weather but it soon began to cloud over the further east we headed and by the time we got to the south coast it was raining heavily. This did turn out to be one of the wettest Junes on record, so we were hoping that our crossing the next morning might take us into some fairer weather. 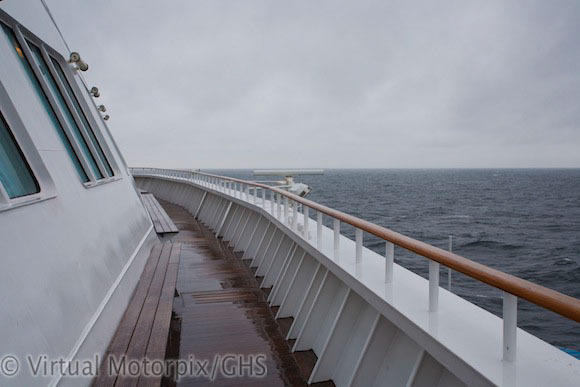 The crossing was a bit choppy but Brittany Ferries‘ Mont St. Michel, built in 2002, handled the conditions with ease, and while our VW California (complete with eBikes strapped to the bike rack) was under cover below, we settled into our outer berth cabin with shower. If you are going to make a crossing of this duration, the cabin is a welcome luxury (there are 226 cabins on board by the way) because it offers you the opportunity to rest if you want to after a lengthy journey, as well as giving you a secure place in which to dump your luggage and other personal belongings should you want to amble about the ship. On board there were movies to watch, well stocked shops to browse through and games areas for the kids or teenagers to explore, all of which is bound to get you into the holiday mood. If you want to escape the inevitable noise and clamour of kids running about, the cabin offered a comfortable refuge where we could set up the laptop and make a start on some work. 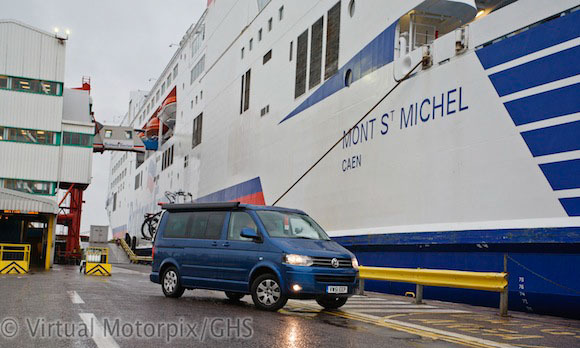 At 34,000 gross tones, the Mont St. Michel is served by a staff of 135 and is large enough to swallow 2,170 passengers, 830 cars, 80 trucks and around 50 motorhomes, and can cruise at a comfortable 21 knots. All too soon the sea trip was over we were back on the road headed for Le Mans where we registered our arrival at the Welcome Centre and then headed into the circuit to set up our HQ for the duration of the week. Being located just behind the media centre was convenient as this central position allowed us to get to the various press engagements quickly. See a full roundup on the weeks activities at Le Mans. The race week was followed by five days of R&R in the Loire Valley, where the eBikes came into their own. Cruising this scenic wine area on our eBikes offered us a chance to relax and to unwind ahead of the return to the office the following week where we would once again become immersed in the busyness of writing and catching up. On our last day in France we made our way up the coast towards the small town of Genêts, where we had an uninterrupted view of the Mont St. Michel after which our ferry was named. We had left the UK in miserably wet weather but we would be returning in bright, but extremely windy conditions. 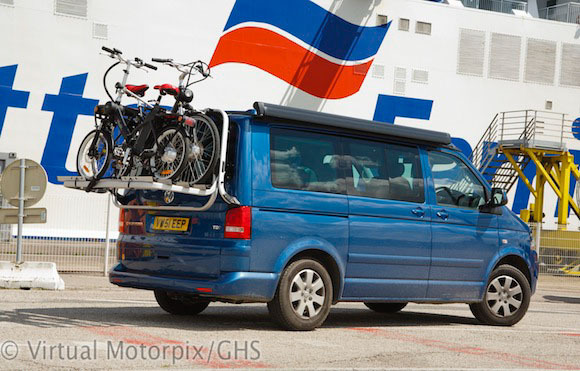 We completed a quick photoshoot with our vehicle on the quayside in front of the ferry (this had been arranged with management prior to setting off from the UK) after which we boarded in the normal manner and made our way to our cabin once again. After almost two weeks away and sleeping in a campervan for the duration of this time, a cabin bed and a nice hot shower were the most welcome luxuries imaginable, even if for just a few hours. 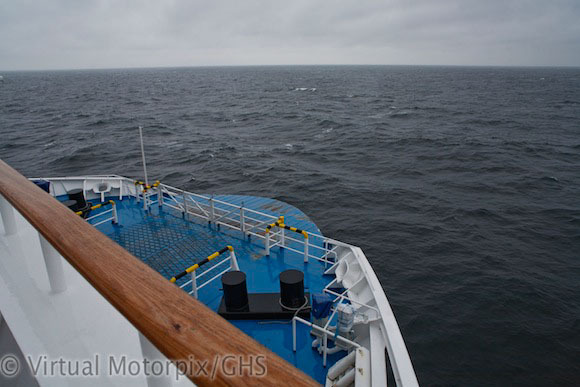 The channel crossing, however, was not so smooth for us landlubbers and taking a shower was an adventure that required the utmost in balance control to avoid being pitched into the loo, but I was assured by the ferry staff that the conditions were nothing out of the ordinary. 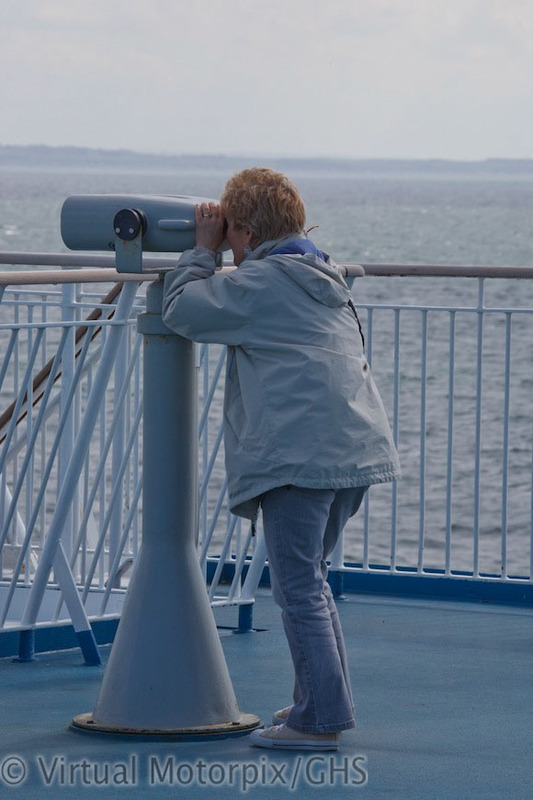 Throughout we found the ferry staff courteous and professional, but then this is perhaps to be expected on longer channel crossings of six hours or more, rather than the shorter crossings where you have no sooner settled into a chair than you have to get up again to disembark. Vessels on this longer route also tend to be more stable than the slightly smaller ships on the shorter routes. 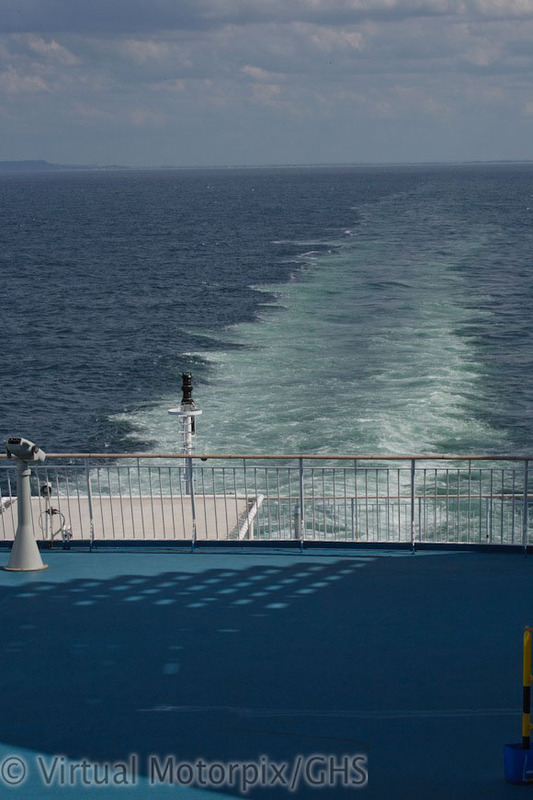 In the final analysis, was this crossing better than the Dover-Calais route…you bet! The comfort of a cabin and the opportunity to do some real work on the crossing far outweighs the shorter crossing with the longer road journey, so this will definitely be our preferred option for next year’s Le Mans 24-Hour race.